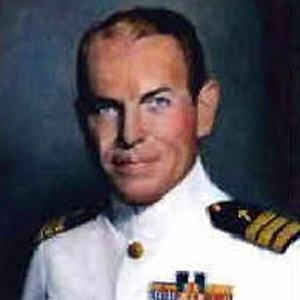 Navy Chaplain who sacrificed his own life to save the crew of the USS Houston during World War II. He graduated from Princeton Theological Seminary, was ordained in 1909, and served on board several military ships during World War I. He gave his life jacket and his space on an overcrowded pontoon to a naval officer after the USS Houston was destroyed. He was born in Lebanon, Pennsylvania. He and naval officer, Oscar Peterson, both gave their lives to save others.